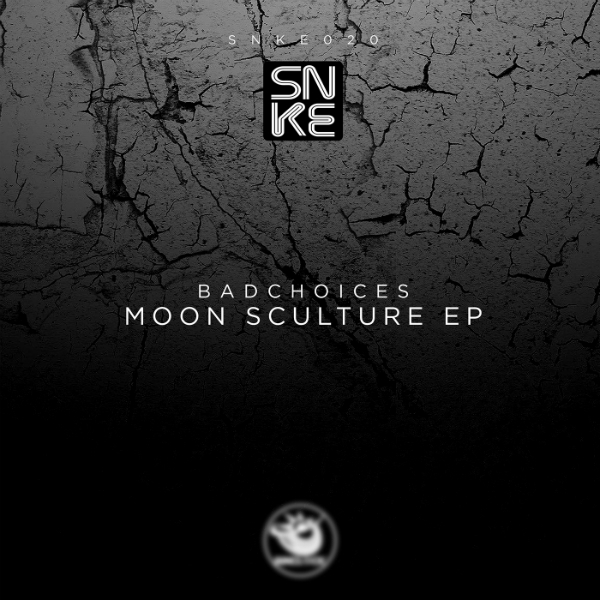 BADCHOICES this new group has given life a very particular and experimental Ep entitled ‘Moon Sculture Ep’. 'Desperate Cry' has a resounding bass drum reinforced by a refined percussion rif that keeps up the pace and joins the crowd on the dancefloor. The middle break is characterized by a hypnotic voice made by vocoder that leaves a very mystical effect on the disc. 'Journey Around' has a deep house mold with a very dry groove and a functional percussion loop. The writing is based on the ayet and on the upbeat of the rhythm. From the second half of the song a consistent electronic background synth accompanying everything to the end, giving more class to the song but without losing energy and danceability. An eclectically 80s impression.‘Moon Sculture’ is a track with a clear deep mold. Composed and perfectly designed for a long and disturbed mental journey that reaches its maximum outburst thanks to a long pause marked by an impersonal, but suggestive, voice that will capture your attention until the end of the song. ‘Twisted Shadow’, has a more minimal nature, a more classical structure than the previous track, maintaining a certain originality and an experimental mold. The bass is extremely addictive along with the synth melodies. The dirty groove has the flavor of 90s house music that keeps steady on the track. A release to keep an eye on that will certainly have a strong impact.